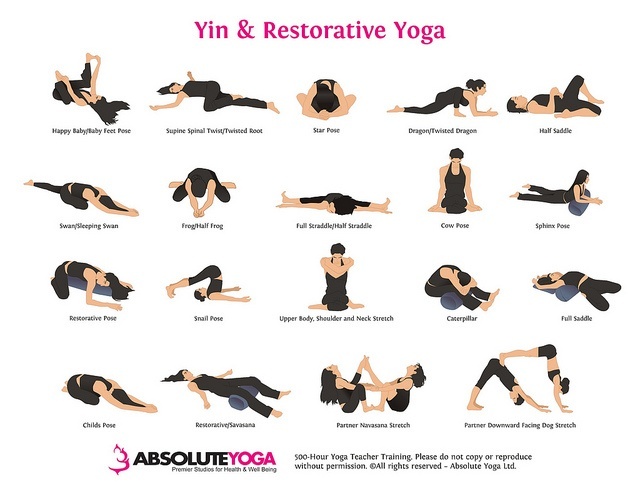 Very gentle, yin or subtle yoga is excellent for encouraging the relaxation response and building healthy vagal tone. 1. It’s super calming for the mind. 2. It’s great for your digestion. 3. It elongates the lower back. 4. It opens up the hips. 5. It reminds you that resting is a good thing. "The strong inhalations and synchronized arm movements, awakens your entire system —increasing oxygen levels in the bloodstream, temporarily stimulating the sympathetic nervous system, circulating more prana, and gently stoking agni. The forceful exhalation lightly detoxifies the body and helps release pent-up tension." Calms and restores the nervous, endocrine, circulatory and immune system. 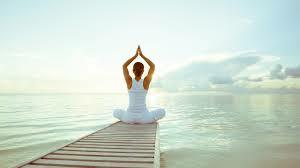 "These poses use gravity (the heart is superior to the head) to control the blood pressure. In addition to full inversions, such as Headstand and Shoulderstand (Sarvangasana), there are several “partial” and” gentle” inversions that are as effective at stress reduction as full inversions."